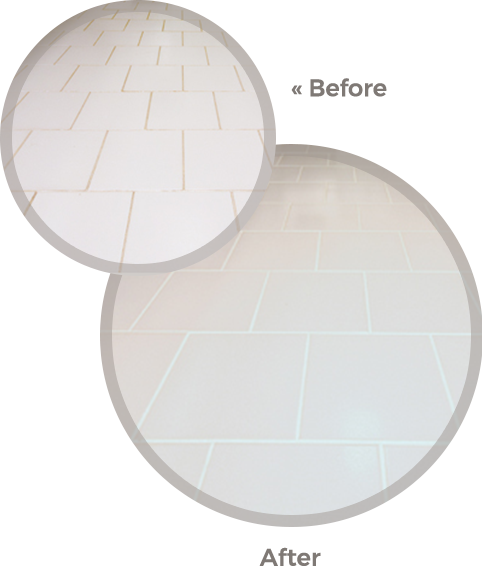 The SaniGLAZE Tile and Grout Cleaning and Restoration Process is the smart and cost-effective alternative to replacing tile and grout. SaniGLAZE is a revolutionary alternative to commercial tile and grout cleaning that will restore your tile floor’s original beauty to like new condition and keep it that way for many years. Generally, on a ceramic tile floor, it’s not the tile that causes the appearance problems; it’s the grout. The SaniGLAZE colored grout overlay process seals out mold, dirt and future contaminants for the life of the floor while restoring your grout to like-new condition. Midwest Floor Restore provides SaniGLAZE, the only permanent, maintainable solution to ceramic tile and grout cleaning. • Provides easy daily upkeep. • Provides fresh, “sparkling” sustainable restrooms all of the time. • Is a LEED compatible process. • Provides a moisture-proof, protective barrier using state-of-the-art polymer grout and Super Shield. • The grout sealing aids in the control of diseases, bacteria, and even the MRSA virus. • Extends the life of your floors. 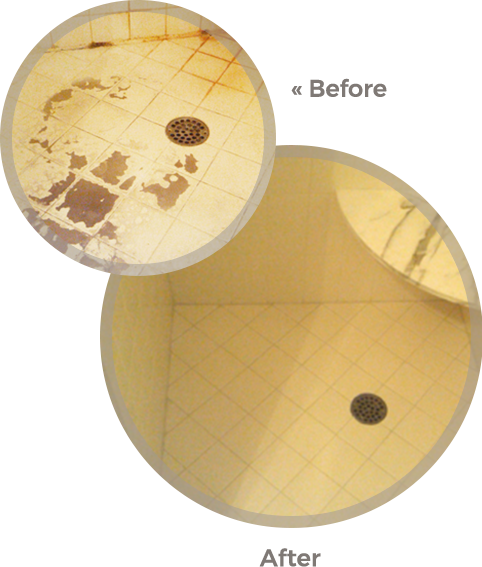 • Restores your tile floor to a better than new appearance. 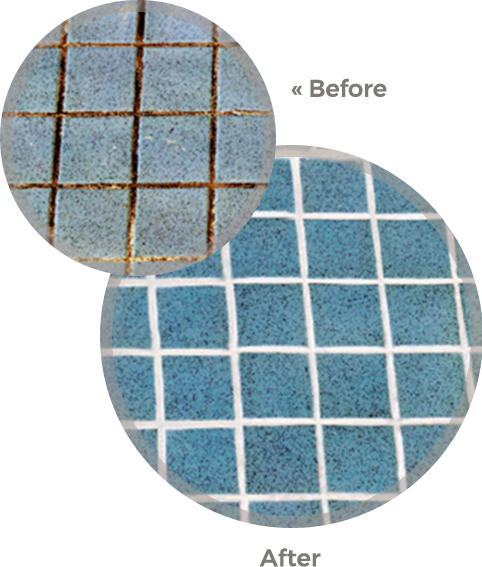 • Grout restoration is half the cost of replacement. Even though your flooring accounts for a small area of your business, dirty floors can leave a lasting impression. The porous nature of certain flors can hold bacteria and other contaminants. Making sure your floor are properly maintained using SaniGLAZE will ensure you avoid unnecessary complaints from customers about dirty floors and poorly maintained bathrooms and keep your coworkers healthy and happy. 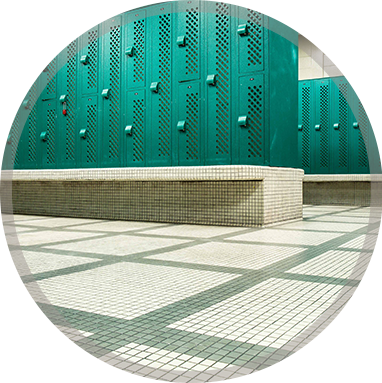 Successfully maintaining tile and grout surfaces is among the most difficult challenges faced by facility managers and building service professionals. Before the SaniGLAZE process, there was really no effective way to keep tile and grout at a high appearance level and replacing tile floors is way too expensive. The SaniGLAZE process has proven to be the only technology that can solve these problems long term and help extend the lifetime of your beautiful floors. Our society is calling for more environmentally conscious methods of cleaning and we’ve got the answer. Most commercial flooring maintenance requires the use of harsh and abrasive chemicals. Despite their effective cleaning abilities, they can tough on the environment and destroy the floors integrity over time. The SaniGLAZE process is safe and environmentally friendly.